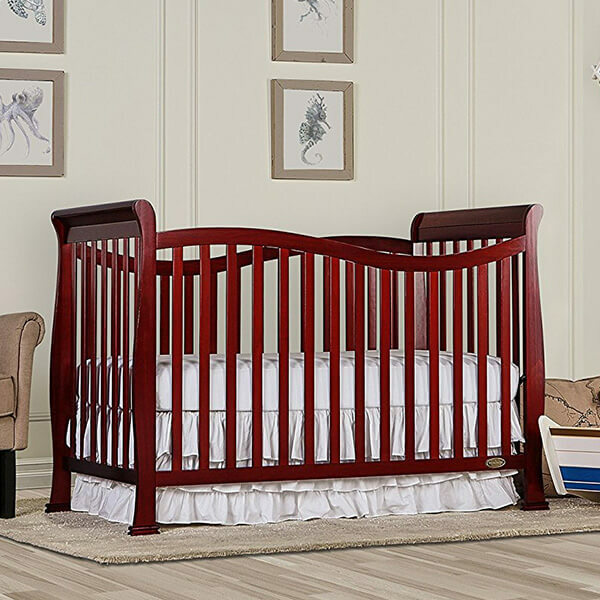 Able to be converted into a toddler bed, day bed and even a full size bed, the Dream On Me Violet 7 in 1 Convertible Life Style Crib will be there for your child for years. Its solid pine construction has been given a beautiful pine finish. 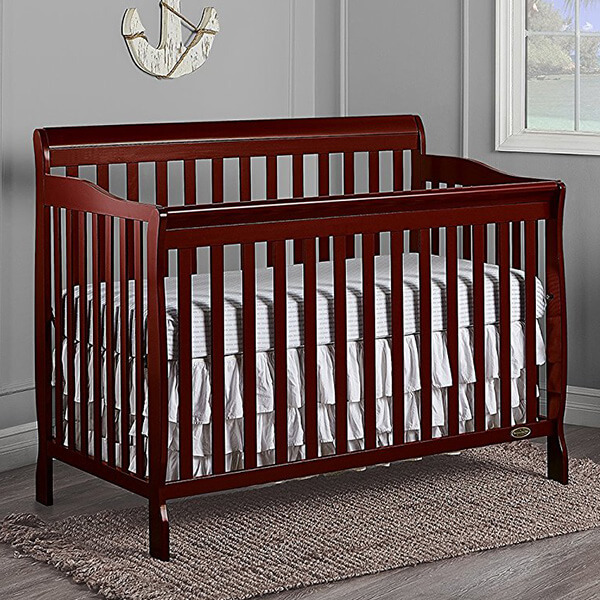 The striking cherry finish of the Kalani 4-In-1 Convertible Crib is ideal for any style of nursery. Made from 100 percent New Zealand pine wood, this durable bed can transform into a toddler bed, full sized bed and day bed to follow your child through all sleeping stages. 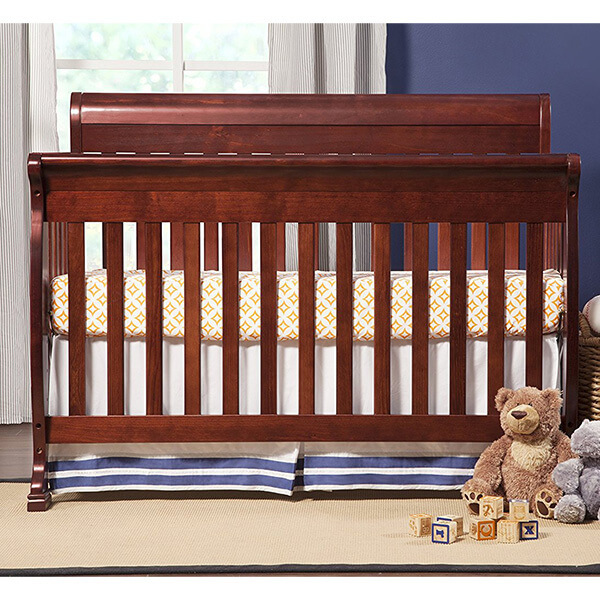 Convert the Dream On Me Ashton 5 in 1 Convertible Crib into a toddler bed, day bed and full size bed as they grow. It comes with support for four different mattress positions and has been given a solid pine wood finish. This product has been tested for lead. 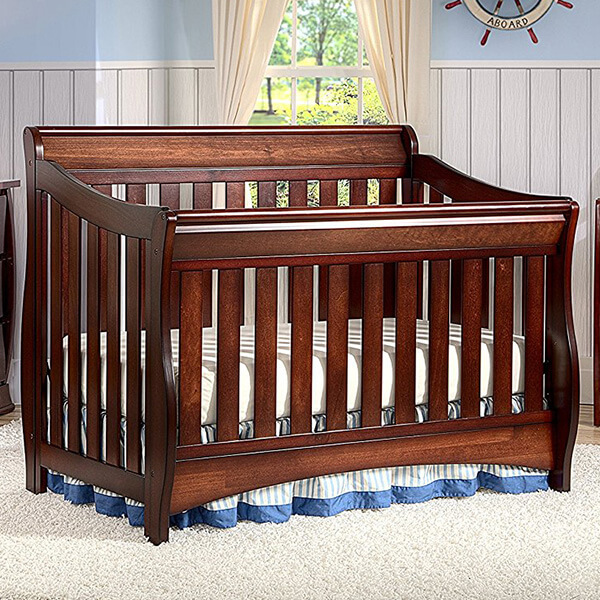 The Dream On Me, Classic 3 in 1 Convertible Crib is able to convert into a day bed and toddler bed as your child grows along with their needs. It comes with a multifunctional, stationary rail design to keep them secure in the crib and is complete with safety locking wheels. 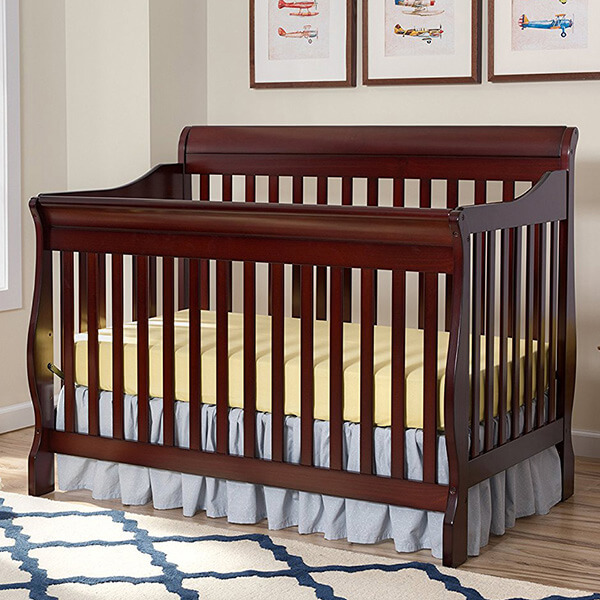 The Delta Children Canton 4-in-1 Convertible Crib is able to convert into a toddler bed, daybed and a full sized bed to save time and money as the child grows. 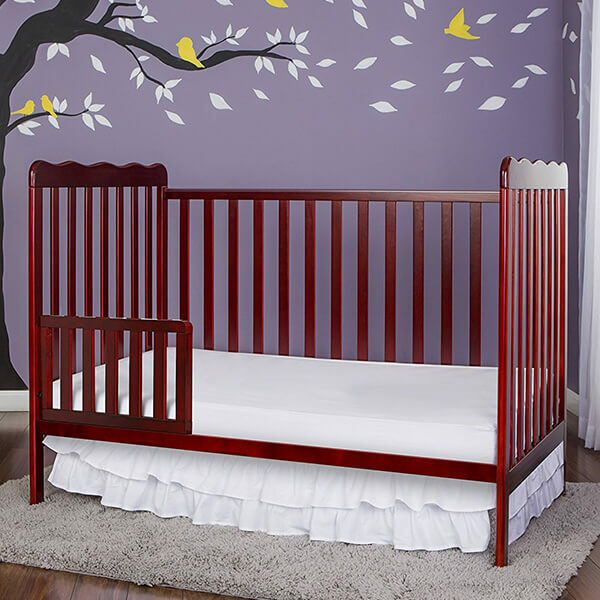 It has a nontoxic cherry espresso finish to add beauty to any nursery, regardless of decor. With its ability to transform into three other bed styles, the Delta Children Bentley S Series 4-in-1 Crib is ideal for rapidly growing children. It has been given a beautiful black cherry espresso finish that is JPMA certified in order to ensure your child’s safety.